Deloitte’s aspiration is to be the undisputed global leader in professional services. This means being the premier career destination for top talent, developing inspirational, world-class leaders. 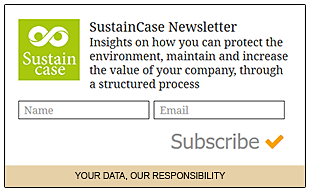 This case study is based on the 2015 Global Report by Deloitte published on the Global Reporting Initiative Sustainability Disclosure Database that can be found at this link. Through all case studies we aim to demonstrate that CSR/ sustainability reporting done responsibly is achieved by identifying a company’s most important impacts on the environment and stakeholders and by measuring, managing and changing. Companies that understand the importance of best practices in employment will enjoy a key competitive advantage. Many studies have demonstrated the significance of having well-tuned teams of professionals focused on delivering, time and time again, outstanding results. Companies who invest in their workforce and enjoy low levels of employee turnover also invest in an important competitive advantage: the ability to continually deliver outstanding results to their clients through well-tuned teams of professionals. Individuals who work for a company that makes every effort to increase engagement, reduce the training gap and increase job satisfaction, know that they are, in a competitive job market, professionals who possess a continually developing skill set. Deloitte’s vision is to develop, by providing an outstanding career experience and an inclusive, collaborative culture, purpose-led leaders committed to making an impact that matters. After measuring and setting targets, Deloitte took action to value, fund and cultivate new ideas, grow leadership skills at every level of the organization at Deloitte University – during FY2015 nearly 65,000 Deloitte professionals experienced Deloitte University –, promote on-the-job development, expose Deloitte professionals to new ideas and cultures by means of mobility and international experience programs and, also, help talented tech-minded students pursue a business career through “hackathon” events. In its 2015 Global Report Deloitte identified a range of material issues: client satisfaction, financial performance, public policy engagement, employee diversity, ethics and integrity, privacy and data security. Among these, making its network of more than 220,000 professionals at member firms the premier career destination for the finest and brightest minds stands out as a key material issue for Deloitte, as a global leader in professional services. Deloitte Touche Tohmatsu Limited (DTTL) commissioned a formal stakeholder engagement process and materiality assessment in order to identify key areas of impact. The materiality assessment process was based on the Global Reporting Initiative’s (GRI) G4 Principles of Materiality and Stakeholder Inclusiveness. The first step: analyzing supplier questionnaires, benchmarking reports of peers and sustainability award-winners, examining sustainability guidelines and researching publications of internationally recognized nongovernmental organizations (NGOs). To gather further stakeholder feedback on material topics, Deloitte identified a specific list of stakeholders together with engagement methods intended to maximize feedback from each group. Interviews were conducted with external stakeholders, including strategic member firm clients, academic institutions and internationally recognized NGOs, that helped identify emerging issues and prioritize each group’s concerns. Internally, Deloitte leaders from across the network and DTTL regulatory affairs and governmental liaisons were consulted and feedback regarding the interests of current and future talent was provided by the annual Deloitte Millennial Surveys. Industry perspectives were provided through involvement by DTTL personnel in external bodies working on standards development, such as the Professional Services Sustainability Roundtable (convened by the Boston College Center for Corporate Citizenship). Lastly, a systematic weighting methodology was applied to the feedback and research to prioritize potential relevant topics. 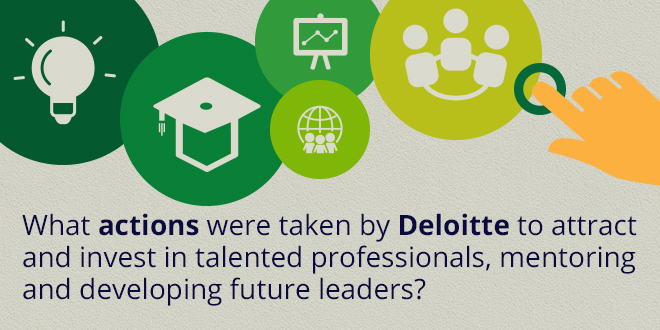 What actions were taken by Deloitte to attract and invest in talented professionals, mentoring and developing future leaders? Deloitte UK: It has a program, backed by a budget of up to US$39.3 million, for creating and growing new businesses based on the ideas of its people. Deloitte Canada: Its search for innovative ideas offers a winning team a cash prize and up to US$160,000 in seed money to implement its concept. Deloitte Brazil: Local professionals submitted 18 innovative projects and received investments to be developed. Deloitte US Technology Consulting practice: 20 cross-industry, marketable ideas were created for development through the StartUp Deloitte program. “The real strength of the Deloitte University experience is how it supports passing practical knowledge, professional and personal experience and our values from generation to generation of Deloitte leaders.” Jorrit Volkers, Dean, Deloitte University EMEA. “After a while, we realized that DU could be a place to develop leaders and innovate.” “What if we could use the collective power of all these talented individuals to help solve the world’s most vexing problems?” “That’s how ‘Wicked Problems’ was born.” Jennifer Steinmann, Chief Transformation Officer, Deloitte US. Through a core curriculum and multiple regional facilities, DU is focused on growing leadership skills at every level of the organization. More than 2,000 member firm partners, principals and directors led Deloitte University programs. 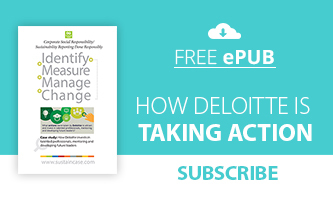 Deloitte UK: It introduced the Engagement Team Based Learning program for its auditors, to help them recognize the daily education they’re receiving and understand how they contribute to the success of the practice and engagement teams. Deloitte Australia: It has a similar program, “10 Ways,” that according to Chris Powell, Deloitte Global Audit Talent Leader, aims to “fundamentally change the DNA of a Deloitte auditor”. Member firms implement formalized mobility and international experience programs, exposing their professionals to new ideas and cultures. FY2015: More than 6,000 Deloitte professionals gained diverse, on-the-job experience by means of short- and long-term mobility assignments and global client projects. A number of Deloitte member firms host “hackathon” events to enable tech-minded students to demonstrate their talents, while offering valuable insights into the challenges and rewards that await those who pursue a cybersecurity career. April 2015: The Deloitte US Cyber Risk Services practice with the US’s Deloitte Foundation hosted one such event. Students representing 10 of the top universities in the US competed against their peers and other schools. Deloitte Digital in the UK member firm: It ran a similar “hackathon” competition, “Gone Hacking,” to spot ideas to disrupt and transform the financial services industry. Participants on 14 teams had 48 hours for developing and presenting their solutions to a panel of industry leaders. Some participants were encouraged to apply to Deloitte UK’s BrightStart training program, which helps talented students develop successful business careers. Note to Deloitte: With each case study we send out an email to your listed address in request for a comment on this case study. If you have not received such an email please contact us.